Australia is the country most overseas immigration aspirant from sub-continent love to travel study or settle permanently. 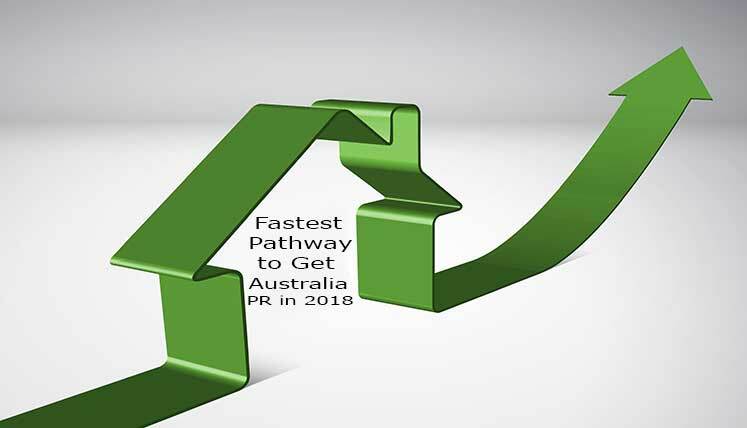 However, in view of recent tightening of immigration rules and process requirements by the Australian government, people are in search of fastest or easiest method to move to Australia or get PR in Australia. Well, if you are one such aspirant of Australian visa, Skilled Independent Subclass 189 Visa is the best option for you to get quick Australia PR visa. Skilled Independent Subclass 189 Visa is the point tested visa category designed by DIBP (Department of Immigration and Border Protection). It is part of General Skilled Migration Program of Australia. As of May 15, 2018 status, 75 per cent of applications for this visa get processed within 8 months and 90 per cent get processed within 9 months. To apply for this visa category candidate need to first select an occupation from relevant skilled occupation list of Australia and nominate an occupation from the list. The occupation must match your skills and experience. Once occupation is nominated it’s time to gather the essential documents and then submit the EOI (Expression of Interest) in online SkillSelect System of Australia. The essential documents you need are IELTS test result with minimum band score 6 and Skill Assessment Report from approved assessing authority. You need to submit EOI on the SkillSelect System and score at least 60 points based on your age, education, work experience, and language skills in English, etc. Scoring qualifying marks only does not guarantee whether you will receive the ITA (Invitation to apply) Subclass 189 visa. Hence, you must try to score high based on all key factors of your profile. If your score is high enough, you will get the Invitation to apply for subclass 189 visa from immigration authority. Once ITA is received, you need to submit complete Visa application along with the required documents, within 60 days of receiving the ITA. If you are not thorough with the Australia immigration process and guidelines, it is wise to take assistance from qualified and experienced immigration and visa expert for Australia. An expert can guide you through the process and tell you which program to apply and how to select the right occupation and visa category. Moreover, your fear of making an error in visa application will also be taken care of when you are applying under the guidance of an expert. Visas Avenue is foremost Visa Consultant in India for Australia immigration and PR process. It’s a team of highly qualified and experienced immigration experts active in multiple branches all over India, i.e. Delhi, Mumbai, Bangalore, Hyderabad, and Chennai. What are the Opportunities Available in Australia as Subclass 189 Visa Holder?